Access to and use of this website is provided subject to the Terms and Conditions of Use (this document) which you should read carefully. By accessing this website you hereby accept same. 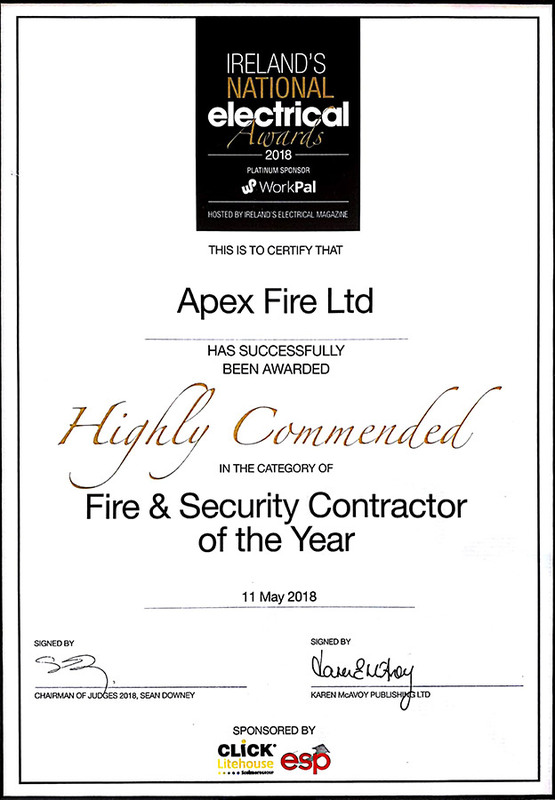 While Apex Fire have taken all reasonable steps to ensure the accuracy and completeness of the information on the pages of this site it can accept no legal liability in respect of any inaccuracy or incompleteness in such information. Apex Fire are NOT responsible for the contents of any off site pages referenced or linked to. It is our policy to respond and correct errors within 7 working days of receiving accurate and verified information. If you should encounter any errors please contact us at info@apexfire.ie. Apex Fire and its employees or agents assume no responsibility for and give no guarantees, undertakings or warranties concerning the accuracy, completeness or up-to-date nature of the information provided on the website at this time and do not accept any liability whatsoever arising from any errors or omissions. The site sometimes links to external sites over which Apex Fire has no control and accepts no responsibility. Any links from this website to external websites are provided as a matter of convenience only. They should not be taken as an endorsement of the contents or practices of those external websites.